Are you looking for acne prevention diet? What you eat greatly affects the condition of your skin. And this relation is much more complicated that avoiding oily foods. Discover what foods can truly help you cure acne and what products you shouldn’t eat because they can actually make your acne worse. Usually, acne is more prevalent at the onset of puberty, when the body begins to produce hormones. 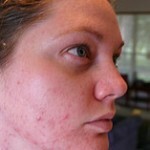 Sometimes, the acne problem is also seen in pregnant women and people of other age groups. A healthy dietary intake, with inclusion of certain foods can be very effective in curing your acne and preventing its growth. Read the article to find some excellent diet tips to cure your acne.